Building solar systems to generate electrical energy from the sun using solar panels is becoming an increasingly attractive and affordable option. On the one hand, the cost of solar panels, solar controllers and other components declines year after year and, on the other hand, people’s environmental awareness is growing, taking into consideration the global environmental pollution. We will introduce to you the different types of solar systems and how to build your own by selecting the appropriate components: a solar system controlling unit (controller), solar (photovoltaic) panels, batteries, inverters, etc. 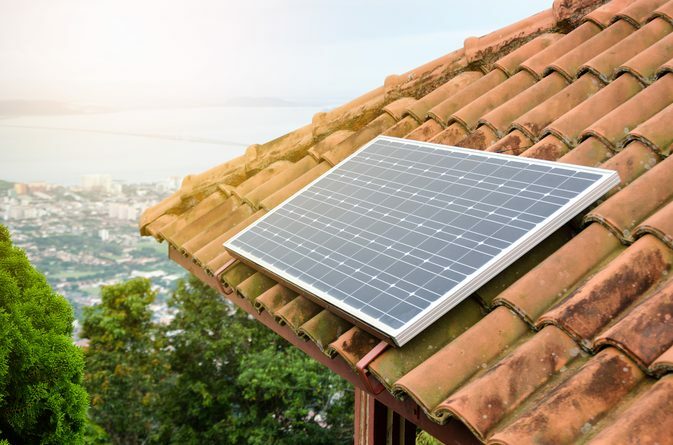 There are two types of solar (photovoltaic) systems, depending on the use of generated energy: systems connected to the grid of a power utility company and systems that operate off-line (in standalone mode) to meet personal needs. 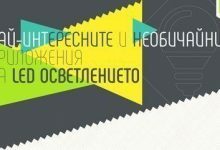 In the first case scenario, you have to be a client of the utility company, to be connected to their grid, to have a project created by a licensed company, and then you have to obtain a permit to implement that project. This is a long, complicated and expensive process that is only suitable under certain circumstances and for certain energy purposes. The second type does not require the creation of a project or obtaining a permit. This type of solar systems is built mostly in places without a power grid or when you want to cut your electricity expenses. Due to its compact size and mobility, such a system is extremely suitable for remote country houses, chalets, farm buildings, for camping in camper vans, caravans or tents, for hunting and fishing trips, etc. 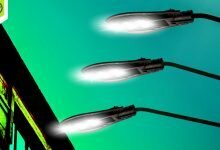 Designing a solar system that is synchronized with the power utility company is a complex process that can only be performed by licensed designers. 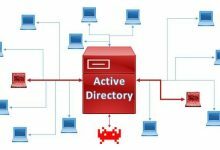 A standalone system, however, can be designed by anyone, provided that the person is familiar with the principle of operation of the components and complies with some simple rules. A high-performing and reliable solar installation can be built as a result. 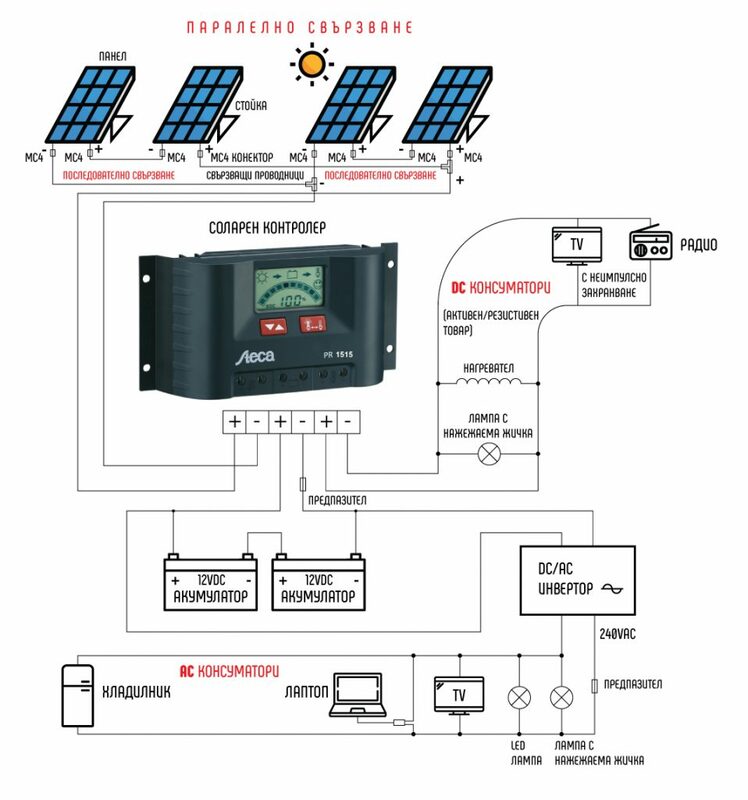 The simplest system consists of sequentially and parallelly connected solar panels that directly supply DC voltage electrical consumers. The panel voltage variations must be taken into account in such a case. Standard solar panels are rated as 12, 24 and 48 VDC, but in reality, in idle mode and under maximum luminosity they generate 21, 37 and 60 VDC respectively, and under rated load these values are 17, 33 and 53 VDC. If the photovoltaic panels are overloaded or luminosity is low, the voltage drops to 30% and in the absence of sunlight or in case of a short circuit the value becomes 0. In order for such a system to work properly, electrical consumers that can withstand similar high voltage variations must be considered, or a solar system controller should be added to the system to ensure the proper functioning of the installation. More complex and featuring higher capacities are the systems consisting of solar panels, batteries and DC electrical consumers. 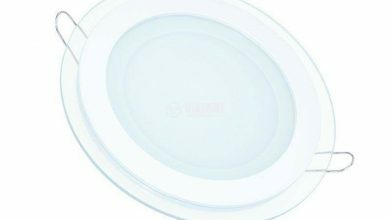 When luminosity is high, the panels will charge the batteries, and if the power of the panels is sufficient, electrical consumers can work in parallel. In this case, however, it is necessary to constantly monitor the voltage on the batteries to prevent surcharge and spills from them. Furthermore, when the luminosity decreases and the battery voltage exceeds that of the solar panels, the system will start “returning” power to the latter. 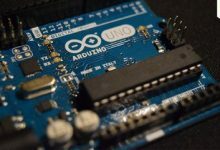 To prevent this you have to monitor the voltage and manually disconnect the circuit or install additional elements, such as diodes with a small forward voltage drop (Schottky diodes). 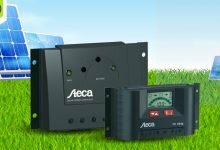 In a system comprising solar panels, batteries and electrical consumers it is even better to add a solar controller, which can regulate the proper operation of the system and relieve you from the necessity to continuously monitor and control. The optimal solar installation has the greatest capabilities and includes all the necessary building components – a solar controlling unit (controller), solar panels, stable stands for them, connecting wires, connection plugs, a DC fuse, batteries and a DC/AC inverter if you want to supply AC electrical consumers. 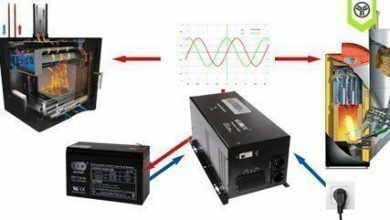 The power of ohmic electrical consumers may be equal to the inverter power. Where electrical consumers work under constant voltage, their power is measured in VA (W). Knowing how many hours we want them in operation, we obtain the energy in VA/h (or W/h), which indicates the capacity of the batteries to select. 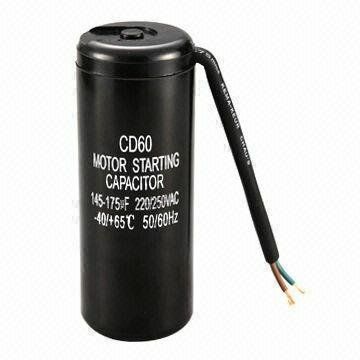 It should be noted that a battery can be used for up to 70% of its capacity and must be disconnected if the voltage drops to approximately 10.5 V to avoid deep discharge. 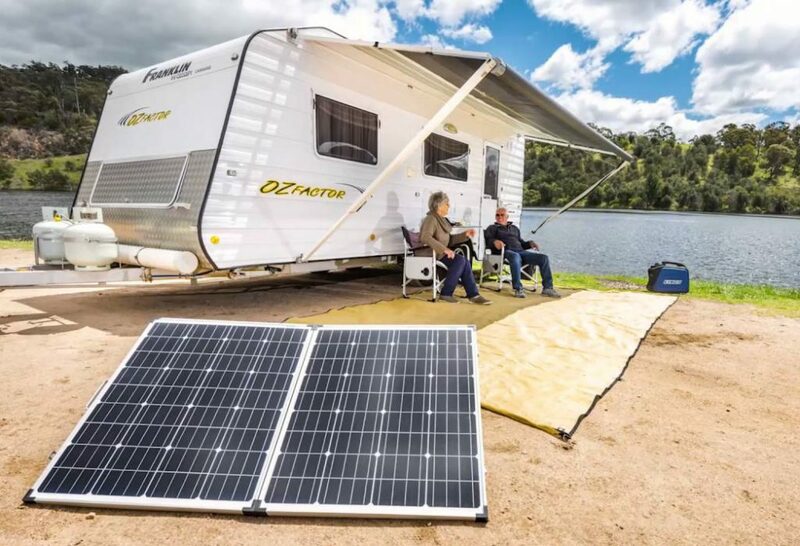 We want to build a solar system for camping and fishing to supply 2 LED lamps operating on 12 VDC / 12 W and a TV set operating on 12 VDC / 30 W. These electrical consumers will operate between 9 PM and 1 AM, i.e. approximately 4 hours. It is also easy to select the panels. Knowing that the battery is charged at 1/10 of its capacity, in this case this means 24 Ah / 10 = 2.4 А. Closest to this value is a 50 W panel with 2.8 A current at a luminosity of 1000 W/m. 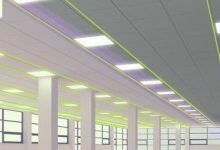 It is impossible to maintain such luminosity throughout the day without a guidance system and therefore we will pick a panel that is 2 times more powerful: 80-100 W, to provide between 4.3 and 5.39 A. In theory, it is possible to build a solar system without a controlling unit (solar controller), but in practice without it the system will be more difficult to size, will not achieve optimal results, will require constant monitoring and manual control, and there will always be a risk of damage to some of the components or electrical consumers. Adding a suitable controller helps avoid any such drawbacks. 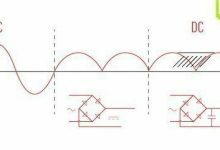 protection against surcharge, surge, reverse current to the panel, overheating, overload, deep discharge below 10.5 VDC, reversing panel / accumulator / electrical consumer polarity, output short, etc. 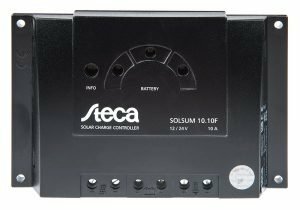 If you want to build a home-made solar system for your caravan, camper van, for camping, garden lighting or similar, the controllers from the Solsum series are the most appropriate. 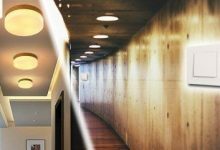 Their power is up to 240 W, 12/24 VDC, they feature a 4-LED indication and duty lighting function. In addition, they are the most affordable. In case you need a higher capacity system, you could use a controller from the Solarix PRS series with power up to 720 W, ohmic load and a 5-LED indication showing the end of charging. 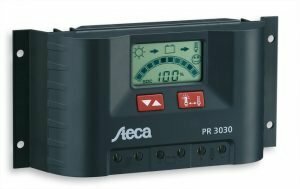 The next class of solar controllers, which also have power up to 720 W, but have a much wider range of features, are the PR series. 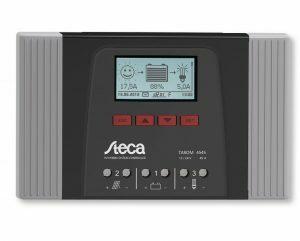 They upgrade the above controllers with an LCD information display, a self-test function and error display, as well as real-time information on the display concerning SOC (state of charge) as a percentage. 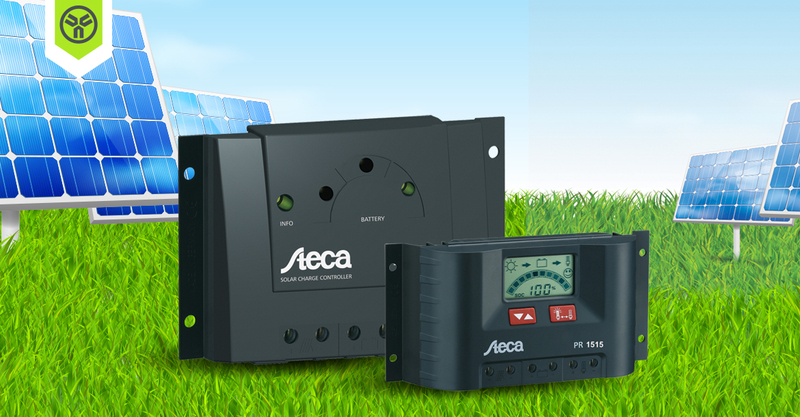 PR controllers are also quite affordable and therefore suitable for use at home or while camping, as well as for building higher precision solar systems with power up to 720 W for a country house, office, storage, farm building or a small workshop. 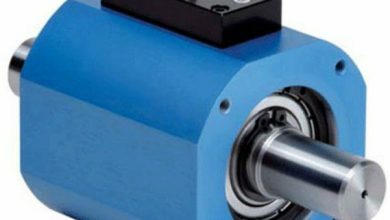 If you need a controller for a system with up to 480 W active load that is capable of operating at extreme working conditions, PR 2020 IP should meet your requirements. The module is specifically designed to work in damp, salty or dusty environments, with an IP65-rated enclosure. This makes it particularly suitable for camping, park and garden lighting, telecommunication facilities and more. 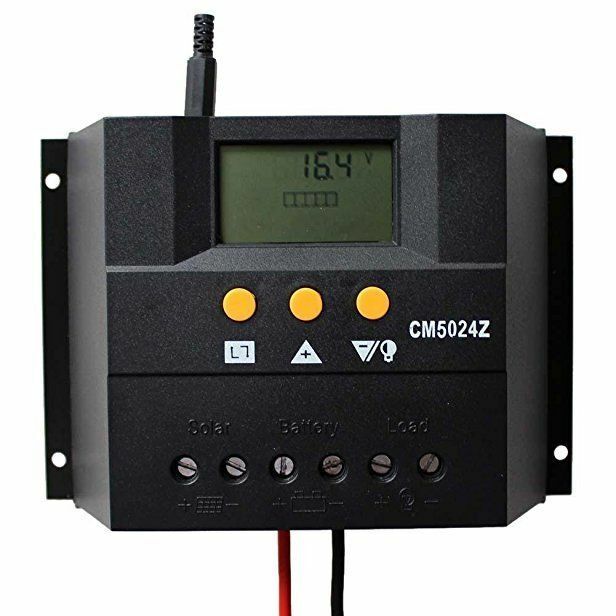 For more powerful systems in the range of 1000-2000 W active load, the suitable solar controllers are for example Tarom 4545 (12/24 VDC, 1000 W) or Tarom 4545-48 (48 VDC, 2000 W). 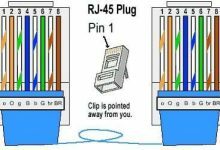 They have the capacity to control using RJ45, RS232, or an SD card, as well as received/supplied energy counter, incorporated data logger for programming and auxiliary outputs AUX1 and AUX2. Another important feature of the two models is that they can control up to 31 auxiliary controllers in parallel operation, which enables the possibility to build very high power solar systems. And now comes the heavy duty category. 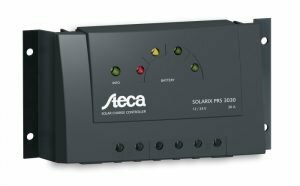 To build a powerful and professional solar installation that features all of the above options plus the possibility for control through a DC line you will need a higher class controller. You can choose among the models of the Power Tarom series from 2070 to 4140. Models with numbers starting with a 2 are for voltages 12/24 VDC, and those starting with a 4 are designed for 48 VDC. You can use them to design and build a system of up to 6720 W active load, and the possibility to extend the system allows you to reach a power of up to 50,000 or 60,000 W.